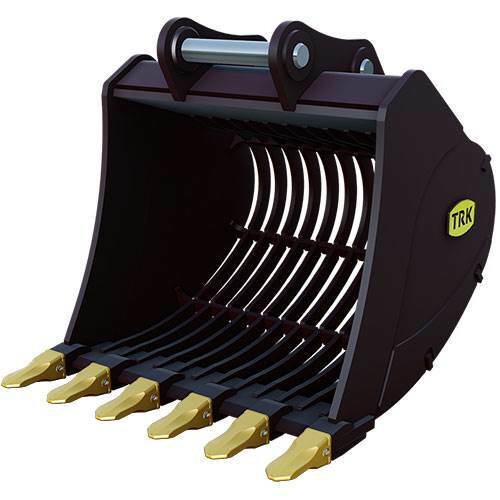 TRK's Excavator Skeleton Screening Bucket lets you sift and sort out the rocks, brush and large debris while leaving the soil behind. It features extra thick ribs in the screening portion of the bucket. Can be set up to screen different sizes of material.